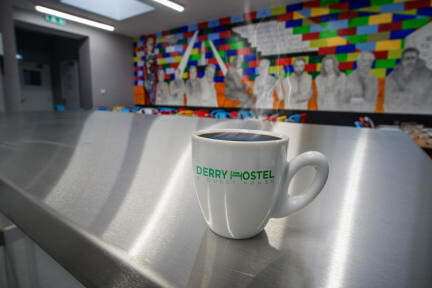 Derry Hostel & Guesthouse is the newest hostel opened which is in a stunning Georgian era townhouse which was constructed in 1832 located in the heart of Derry, and is perfect for visitors of all kinds. 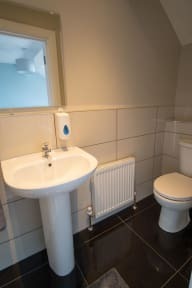 Derry Hostel & Guesthouse was completely renovated in 2017 and now features a modern kitchen, state of the art showers, and high speed internet access. We can accommodate up to 34 people each night within our various dorms and family rooms (maximum room occupancy – 5 people). The graceful lounge is ideal for social gatherings after an exciting day of sightseeing in one of Ireland’s most historically rich cities. Bookings made after 19:00 on the day of arrival. Plese contact the hostel reception to ensure someone will be there to check you in. Check out between 10-1pm .